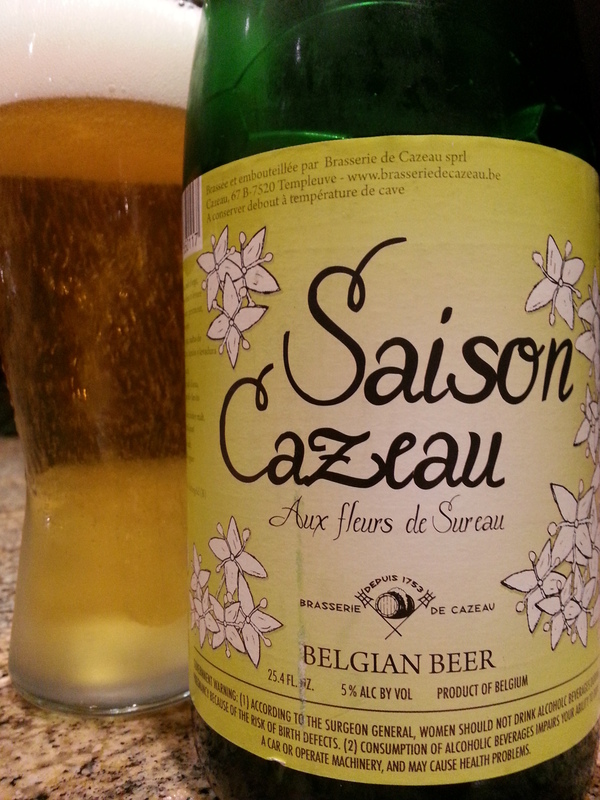 Saison Cazeau – Brasserie de Cazeau (Templeuve, Belgium) | Justintoxicated. Visual: Pours a lovely clear bright golden yellow with a largish super foamy lasting head, thick sticky lacing, a nice thick layer of retention, abundant clusters of fast activity. A beautiful sight. Finish: excellent bitter hopped transition, grainy sweet wheat finish. Summary: Drinks like a very nice creamy textured sweet lager with a bit more hop character. Not at all the like your typical sour saison. Very drinkable.